The Prime Minister doesn't have enough data on mental health work. None of us do. The Prime Minister’s electoral strategy is a bold one. Policies designed to snaffle UKIP voters while holding onto the right of her own party – the pursuit of hard Brexit, the renewal of the immigration cap – are bundled in with pitches to the centre. So we see Theresa May sticking with her predecessor’s commitment to generous levels of development spending, just as she has repackaged the last Labour leader’s promise to bring private energy costs under control. One plank of this centrist platform is mental health reform. As mental health week draws to a close, and political parties vie for headlines on their own promises in this area, it is worth taking stock of those the Prime Minister made shortly after she took office. 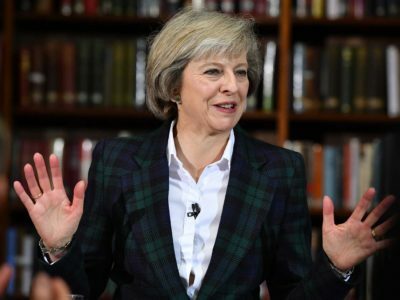 In January, May pledged an additional £15million to help support people with mental health needs in their own communities, and address what she called ‘the burning injustice’ of people unable to access the help they needed. this was part of a plan to ‘transform the way we deal with mental health problems right across society, and at every stage of life’. It is an admirable stance. There is one problem, though. Power to Change’s analysis, which is published next week, finds no evidence that this spending will have any impact. The report, Treating Mental Health in the Community, looks at the highest-quality available evidence to evaluate local mental health projects, and what we know about the most effective interventions. Its findings can be summarised broadly in three sentences. There is worryingly little high-quality evidence around local mental health provision. But from what there is, we know that local mental health projects can be effective provided the projects draw on the specific expertise and needs of that area. And there is no evidence – none – that simply reproducing existing services in a different area have any impact at all on mental health. What is the £15million going on? A quick glance at government documents shows us that it falls into the final category, the very sorts of projects for which there is no evidence of long-term impact. The money will be used, in the main, to refurbish existing ‘places of safety’, equip street triage vehicles for people suffering mental health crises, and buy new vehicles for transporting people between mental health facilities. This may well be necessary for patching-up under-resourced mental health facilities, but there is no evidence that it will bring the PM’s promised ‘transformation’ in treating mental health needs. We aren’t the first to warn about this. Theresa May is also overlooking the advice of her own experts at Public Health England, who two years ago told the government that the best way to support mental health care in a local area is to work with the grain of existing community networks. For those of us as interested in data as we are in politics, though, the most substantial finding in this report is how piecemeal the evidence is on effective local mental health support. For all the high-profile talk about mental health, we badly need more reliable, more robust information about what works best. Fortunately, Power to Change is in a position to help gather, analyse and share some of the longitudinal data which is missing. We are about to embark on a major project investing in different parts of England, targeting our investment in areas where local people are full of big ideas for community businesses to do good locally, but likely to face more tough years ahead financially. This project will include looking at the mental health support community businesses can provide. Crucially, we will collect data that can be compared across time and place, so that we get a stronger sense of what works and what doesn’t in any given part of the country. And then we will share the lot. If this research has shown us anything, it is that anyone who takes mental health support seriously needs more and better data to work from. The government, funders and civil society can’t fix mental health support until we understand it.